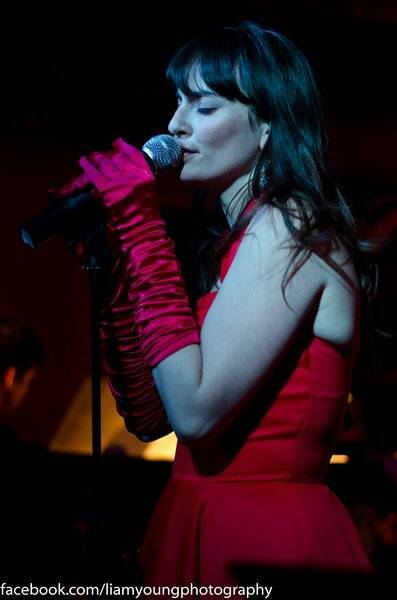 Gorgeous vocals, and that big band sound will have your guests singing from the rafters - perfect for parties, vintage themed events and more! If you are thinking about hiring a Swing band for your party or special event read our guide below. Find a Swing Band for hire near you in minutes! Option 1. Enter your event location below & contact a Swing Band directly! Option 2. Request multiple quotes from available Swing Bands Get Quotes! Option 3. Read information & advice on hiring Swing Bands Read Advice! WANT TO KNOW MORE ABOUT SWING BANDS? Read on for the most comprehensive guide to booking a Swing Band, including how much a Swing Band costs, exactly what they will do at your event, plus tips, advice and information to help make your event one to remember! With a Swing Band, you will get a group of professional musicians who will play traditional Jazz hits well as covering modern Pop and rock songs but with a vintage, jazzy twist! What exactly will a Swing Band do at your event? A Swing Band can come in many forms but they will more than likely contain a singer, a double bass player, a keyboardist/pianist a saxophonist/trumpeter and a drummer. The Swing Band will capture the essence of the 1940s and 1950 with charming arrangements of contemporary songs, so there will something there for everyone! 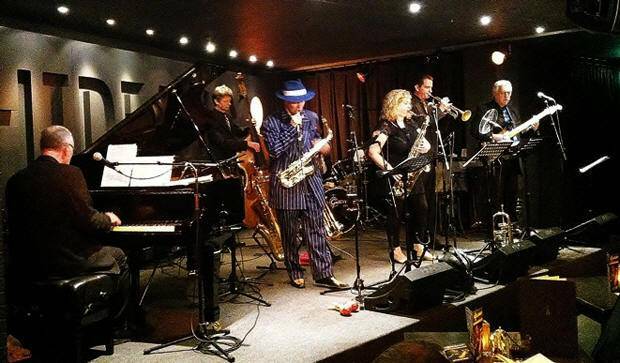 The Swing Band will be able to cover Rock, Pop, Dance, RnB, Hip-Hop, Heavy Metal, Electro and much more but with a sprinkling of Jazz on everything they play! When you hire a Swing Band, you will more than likely get a group of musicians who will dress up in vintage clothing as well! So expect suits and WW2 styled dresses! Mainly, a Swing Band will entertain your audience with a fantastic live show that will put the wow factor into celebrations and impress your guests, whatever their entertainment tastes may be. What event types are Swing Bands hired for? If you’re crazy about chic, vintage and Swing, then you may want to hire a live Swing Band to put the bop and boogie-woogie into your wedding ceremony! The Swing Band can be set up to play jazzy hits as the wedding guests arrive at the wedding venue. They can then play a romantic Jazz hit as the bride is walking down the aisle, such as ‘Fly Me to the Moon’ by Frank Sinatra! Once the nuptials have been agreed and the register has been signed, you may want to hire a live Swing Band to put a vintage twist on a modern day number such as ‘Wonderwall’ by Oasis or ‘Bare Necessities’ from Disney’s Jungle Book film! What a wonderful, uplifting atmosphere they will bring! A Swing Band is ideal for the wedding drinks reception. Search our directory for Swing Bands for hire and you get a host of Swing Bands that will put the jive into your wedding drinks entertainment! The hired Swing Band can be set up to play outside under a marquee and play the best piano songs of all time including ‘My Baby Just Cares For Me’ by the great Nina Simone! Or how about a dash of one of the best bass lines ever with The Cure’s ‘Love Cats!’ Perfect background music for the wedding drinks reception as the newlyweds are meeting and greeting the wedding guests. You might want to hire a Swing Band for your wedding breakfast to bring a cool, retro sound to proceedings? The Swing Band can be set up on the stage at the wedding breakfast venue and can be playing Swing covers as the wedding guests are pouring in. (May we suggest ‘Mack the Knife’ by Bobby Darin! The Swing/Dixieland Band can then cover a range of modern songs in between the wedding speeches and as the wedding cake is being cut. The wedding evening reception is a perfect time to hire a Swing Band! Contemporary Swing Bands will play the best swing versions of songs that you have ever heard and will cover everything from Grunge to Indie to Funk to Country. A modern Swing Band playing Swing versions of famous songs is ideal for wedding evening receptions because they will appeal to wedding guests of all ages. The Swing Band may put vintage twists on The Spice Gils, The Kinks, David Bowie, Bruno Mars, Adele, Kanye West and more! Hiring some great live Swing is a great idea for a corporate event as the style of jazzy music provided is non-offensive yet can appeal to a wide audience by covering modern songs. A Swing Band is great for work bonding at an annual work-do such as a work Christmas party or a leaving party. Swing is great for dancing too, whether it’s jiving or slow-dancing, so you and your co-workers will have broken the ice in no time! Swing Bands are also brilliant to hire for cruise ship entertainment and holiday camps as the easy listening music will put everybody in a relaxed and soothing mood! If you are looking for entertainment for a trade show or for a product launch, then how about going vintage and hiring a Swing Band?! The Swing Band will cover modern songs all with a jiving twist so they will appeal to older clients as well as younger audiences. Also, due to having a strong image, a live Swing Band is very striking and will usually always pull in a big crowd! Because of its unique charm, a Swing Band will be fantastic as entertainment at a children’s party. The Swing Band can cover Disney’s greatest songs including most of the Jungle Book soundtrack. Swing Bands have also been known to cover songs from Mary Poppins and The Aristo Cats to name a few! Swing Bands have also been known to cover songs from the Toy Story soundtrack and the Finding Nemo soundtrack as well as modern Pop songs by acts such as One Direction and Justin Bieber! You may want to hire a Swing Band for your vintage themed adult party?! 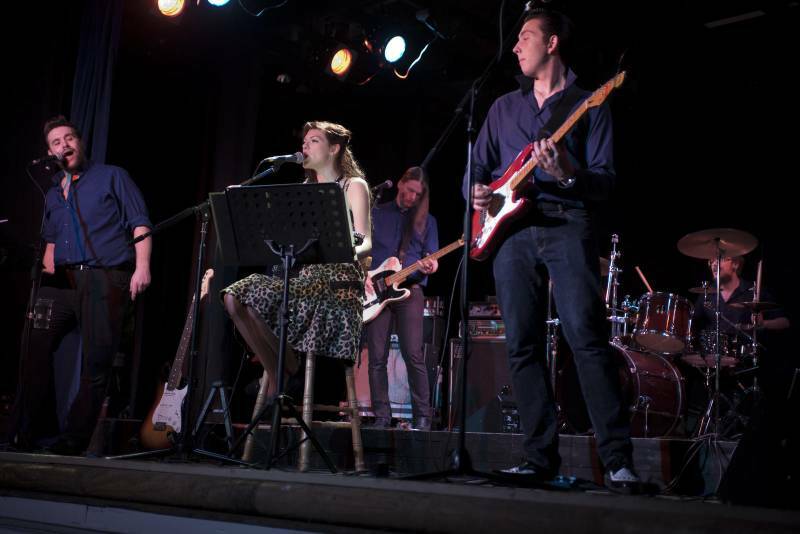 The Swing Band can cover songs by bands as diverse as The Beatles to Nirvana, from Beyonce to Metallica! So get ready to wear your trilby’s, suits and polka dot dresses! A Swing Band will have you and your guests boogying all night! How much do Swing Bands cost to hire? Our simple to use entertainment directory allows you to firstly search for the best Swing Bands who are local (or travel to your area) and then via the contact form you may message them directly to enquire for a no obligation quote to perform at your event. Some acts will also add a rough price guide to their profile for your convenience. What are the usual set formats and performance lengths for Swing Bands? A Swing Band can tailor their performance times to suit you and your event, however, on average a professional Swing Band will perform for two 45 minutes sets. How much space will a Swing Band need at your event? This will depend on how many members the Swing Band has. We would advise to contact the band personally using our messaging service to enquire. What equipment and set up requirements do Swing Bands need? As with most artists who sign up to Entertainersworldwide.com, a Swing Band will provide all of their own equipment. You may want to enquire if an artist needs a PA to amplify their sound, in which case we would advise to use our easy to use messaging service to find out. We do ask that each performer gets a backstage area in which they can prepare for the performance ahead. If your venue does not have a backstage area, then we kindly ask that you enquire with the venue to seek an alternative space in which the performer can comfortably get ready to entertain. How can you find and book a Swing Band with Entertainersworldwide.com? WANT TO RECEIVE A RANGE OF QUOTES FROM Swing Bands?